Entering into a new phase of design with the amalgamation of rustic beauty and sophisticated style; the Lodge Collection brings you the comfort of inside your home with the addition of outdoor materials. Get ready to bask in the sun, relax in the shade, and host in style with the Lodge Loveseat, part of the formidable Lodge Collection. 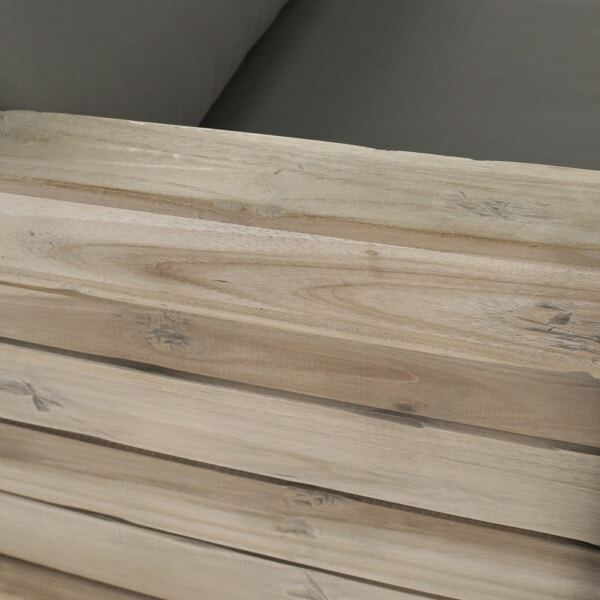 An exciting addition to the extensive range of deep seating at Teak Warehouse, the Lodge Collection draws a line between traditional Lodge furniture and an exquisite East Coast vibe. 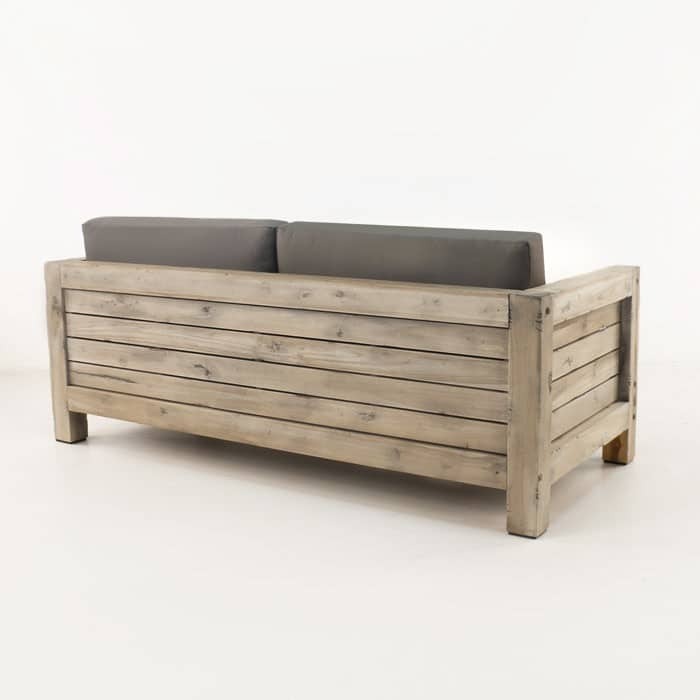 Each piece is beautifully made up with chunky cuts of Distressed Teak, layered with horizontal, slats and topped off with a soft Sunbrella® cushion, giving a look that is both rustic and refined and comfort that is unparalleled! 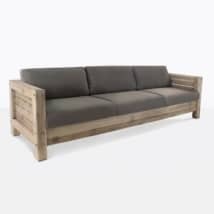 W74.4" x D34.3" x H31.7"
Looking forward to lounging? Want to do so in style? Want to escape the craziness of everyday life and enjoy the fruits of your labor? 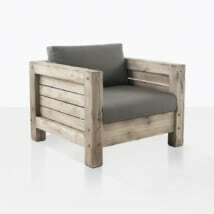 The Lodge Loveseat is where it is at in terms of marrying the upmarket style with overall relaxation. 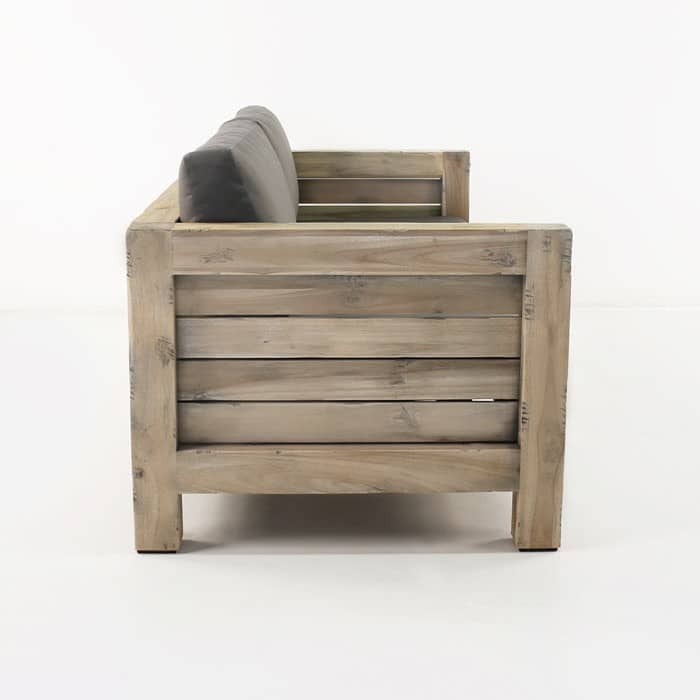 Place it against the longest section of your space with a Lodge Club Chair and two Lodge Ottomans for options of sitting or popping up your feet! Depending on the feel of your space, either purchase a Lodge Coffee Table for a matched set or mix it up with some Raw Concrete! 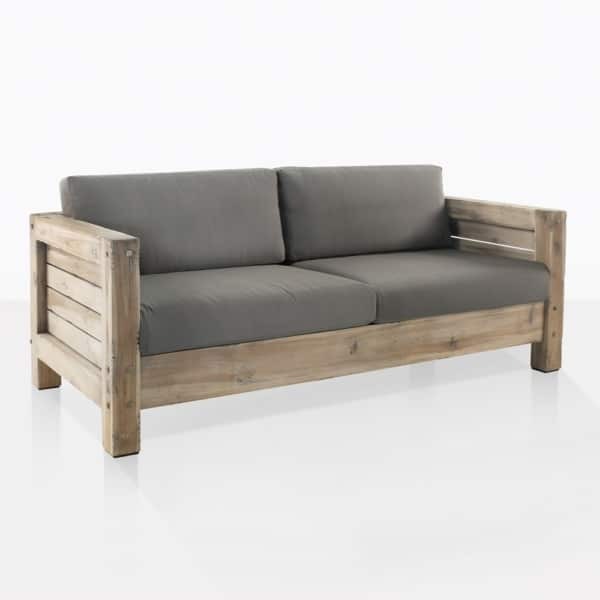 We think this beautiful Loveseat looks amazing indoors too! Make it the central focus in your sunroom, with a Lodge Ottoman either side. Whip off the plush cushions when hosting a small group for a spot to put your nibbles and drinks. The Lodge Collection is completely suitable for outdoor use. Beginning with its structure; Teak is the ultimate choice for outdoor furniture. It is full of rich rubber and oil, which keeps it looking and feeling great for years. Padding out the Collection are terrific Sunbrella® cushions, because they are UV Treated, they are robust, can handle the heat of the sun and rainfall and they are super easy to clean should they get dirty. 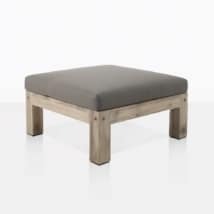 Teak Warehouse is proud to offer Lodge as one of our Deep Seating Collections. Choose from varied Teak options, All Weather Wicker and incredible Sunbrella® ranges. As well as Deep Seating, we carry an extensive range of Dining Tables, Chairs, Loungers, Relaxing Chairs, Umbrellas and accessories for the great outdoors! Call us today to discuss how we can transform your space! Lodge is an incredible Collection; bring the inviting, contemporary vibe to your outdoor area today!